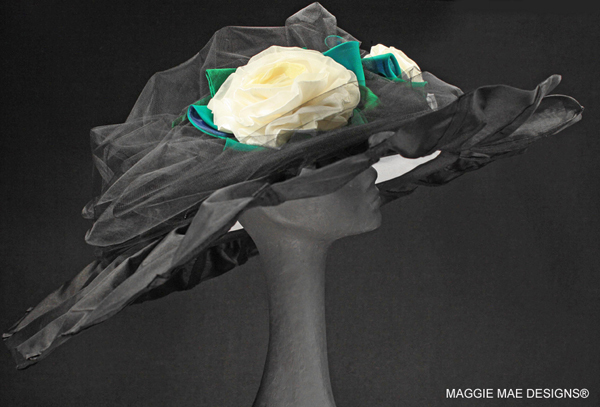 For the seventh consecutive year, MAGGIE MAE DESIGNS® of Cape Cod and Old Friends of Kentucky teamed up again for an unparalleled online shopping experience that began November 1st with their "Hats Off to the Horses: The Road to the Derby" auction. 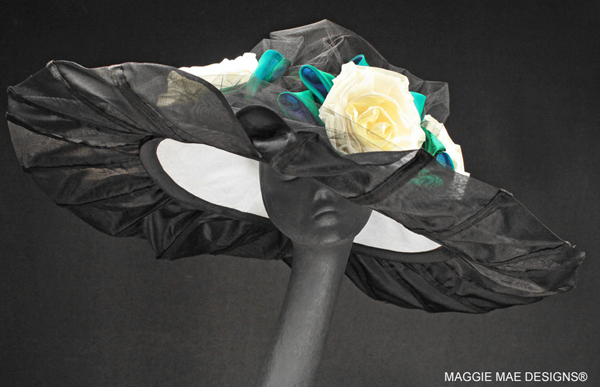 This unique Derby hat fundraiser is an annual event which features one-of-a-kind couture Derby hats created and donated by Sally Faith Steinmann of MAGGIE MAE DESIGNS® to benefit the retired racehorses of Old Friends. The sixth and final hat up for bid in our auction series honored Kentucky-bred 2002 Derby and Preakness winner, War Emblem. 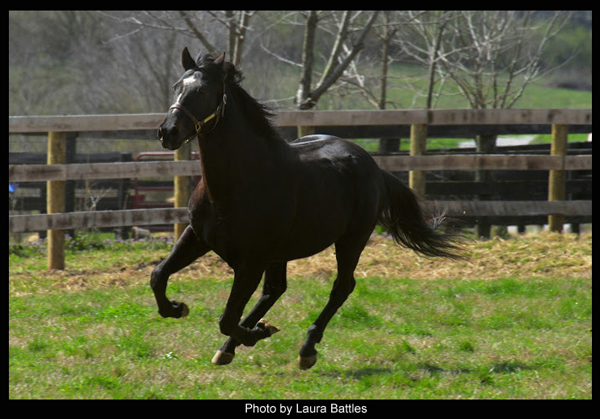 War Emblem was retired from stud duty in Japan in 2015 and arrived at Dream Chase Farm in September 2015 thanks to the Yoshida family, the staff of Shadai Stallion Station, Emanuel de Seroux and the many supporters who generously enabled his retirement. The “War Emblem” auction has now ended, thank you for your support! 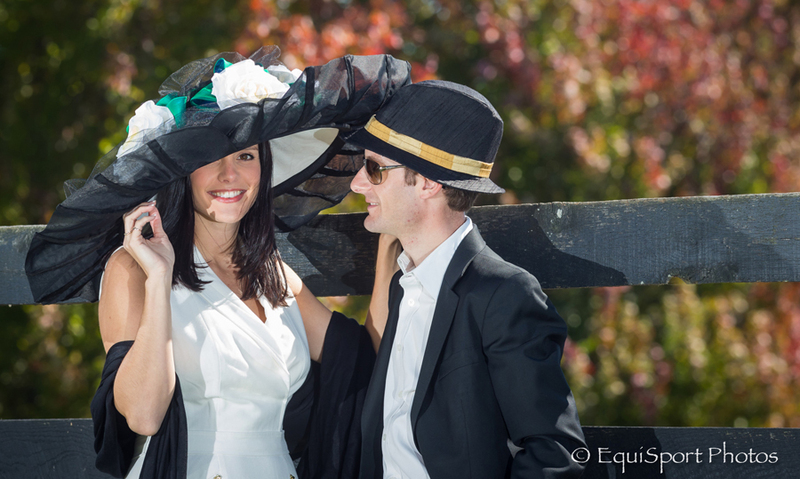 Special thanks to Shea and Julien Leparoux for helping us with “Hats Off to the Horses” fundraiser that supports the retired racehorses of Old Friends Thoroughbred Retirement in Kentucky. 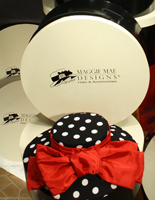 Julien's fedora hat is part of the new line of men's Derby hats by MAGGIE MAE DESIGNS® and although not included in the auction, it is available for purchase from MAGGIE MAE DESIGNS®. Thanks also to EquiSport Photos for their stunning images and video footage. A special thanks to Bella Rose Clothing Boutique of Lexington, Kentucky for furnishing Shea's lovely dress! In an Old Friends July 2015 press release, Michael Blowen, president and founder of Old Friends, was quoted as saying, “"It's just an embarrassment of riches. 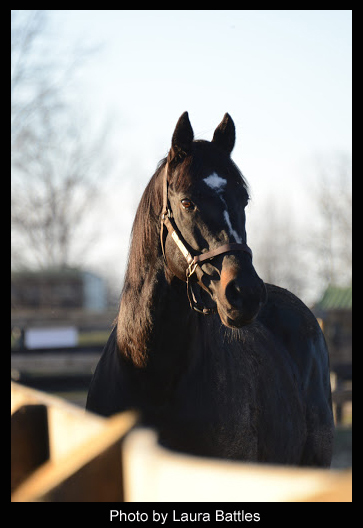 It has been mind-blowing to have one Kentucky Derby winner here, and now we are just thrilled and honored to also be able to retire War Emblem. We can't thank the Yoshida family enough for entrusting us with their fabulous horse." Old Friends has become a special place where former rivals on the racetrack are often reunited. Silver Charm retired to Old Friends in 2014; Touch Gold, who denied him the Triple Crown back in 1997 is a recent arrival at Dream Chase Farm. 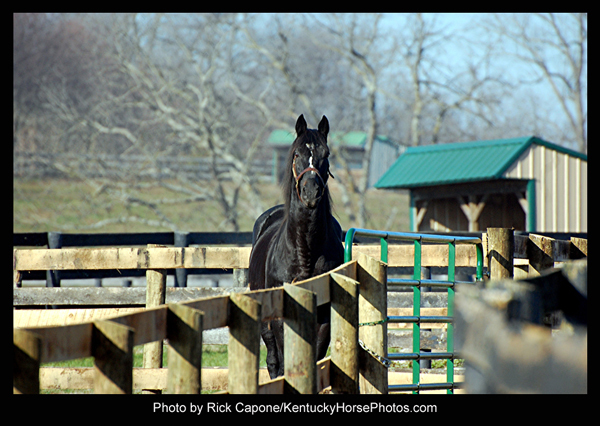 And when War Emblem arrived at Old Friends last September he joined fellow retiree Sarava, the horse who denied him the Triple Crown in 2002. Clearly, a very special hat was needed to honor this new retiree of Old Friends. 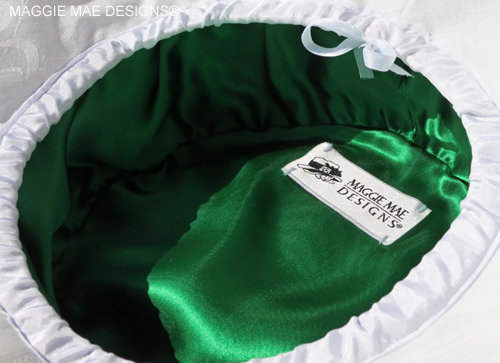 The resulting hat design showcases War Emblem's stunning nearly black coat, his familiar racing silk colors of green and white, and his proud spirit and athleticism. 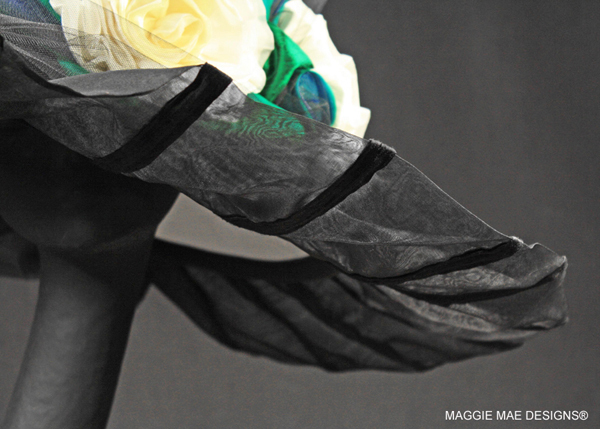 The foundation of the “War Emblem” hat was fashioned as a wide brim design created out of black dupioni silk. 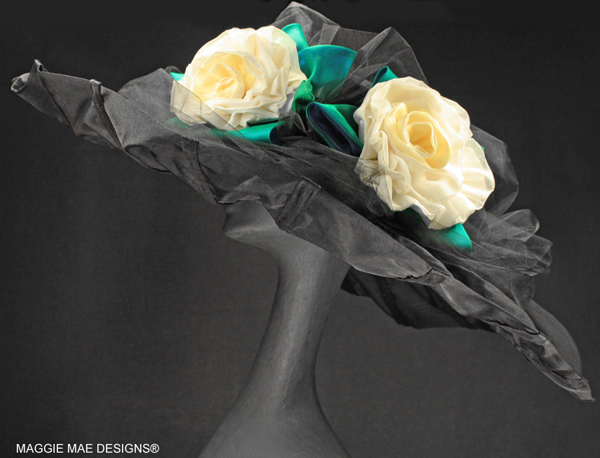 A white brocade underbrim was added that frames the face beautifully when the wearer's face is upturned. The edge of the brim was trimmed with a unique ruffled brim edge which allows light to pass through the sheer fabric. 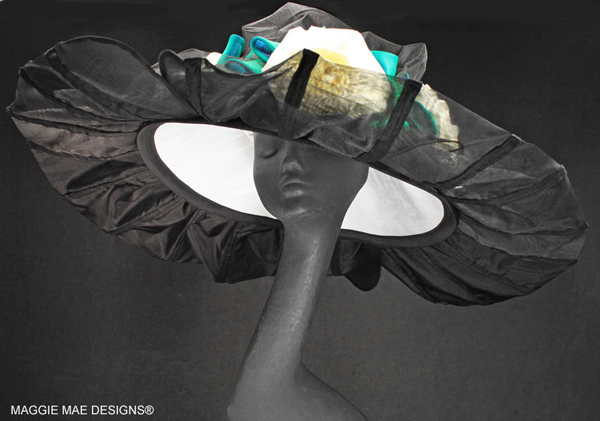 Created out of black silk organza overlaid with black silk “pinstripes”, the resulting look is one of smooth elegance befitting this great Thoroughbred athlete. 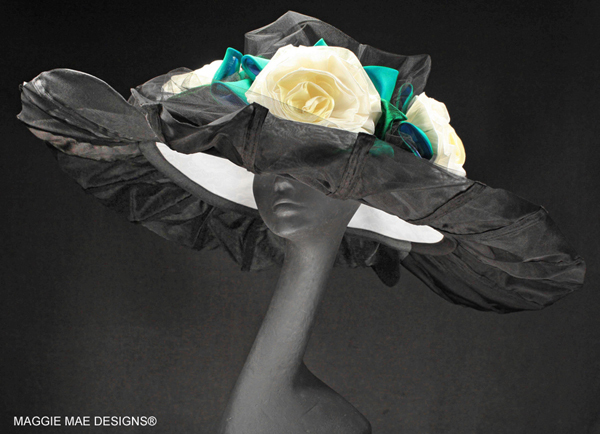 As a reflection of his Triple Crown campaign, three large rose curls created out of alternating layers of white dupioni silk and silk organza with just a splash of soft yellow organza for the centers, were placed along the front crown of the hat. 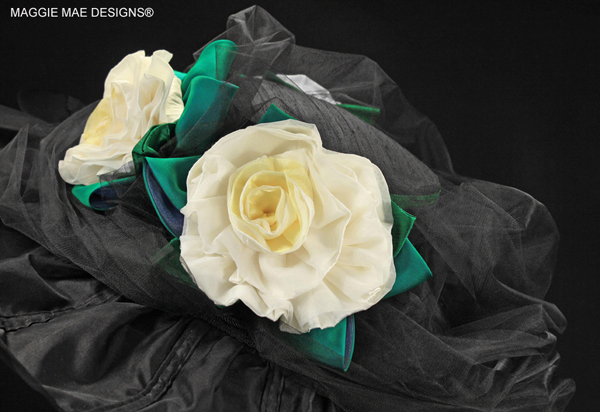 Each rose is beautifully framed with a medley of leaves fashioned out of layered emerald green and bold blue silk organza. 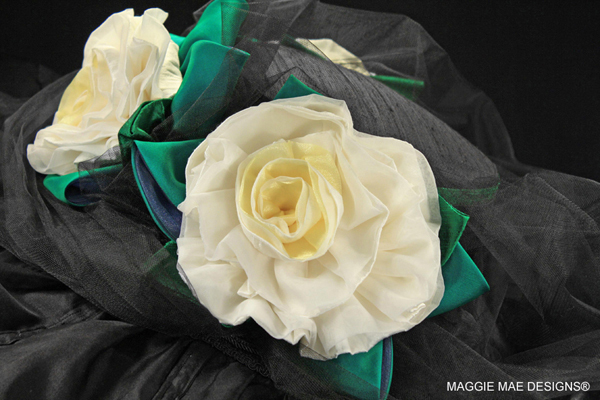 Shimmering black tulle was then layered around the crown and provides a setting for the roses that is wispy and elegant as well as a reflection of War Emblem's nearly black coat. 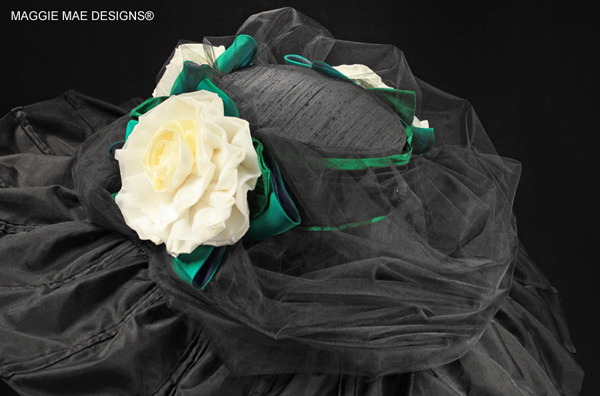 A layered sash, created out of folded black satin with an emerald green dupioni silk lining, encircles the crown of the hat. 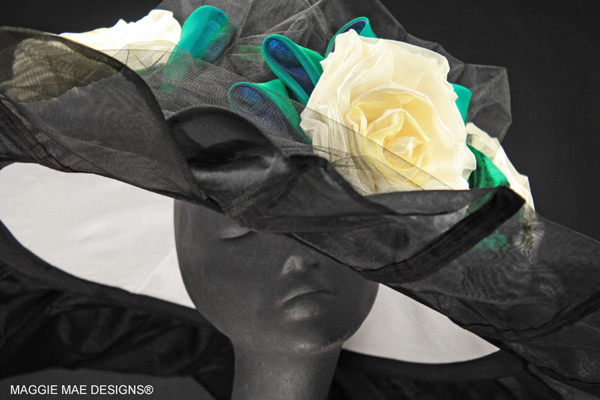 The “War Emblem” hat is stunning from every angle with no details left untouched. 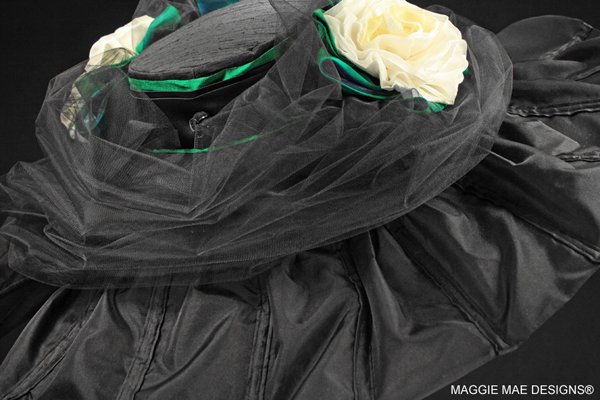 The lining was created from a bold emerald green satin to coordinate with the trims. 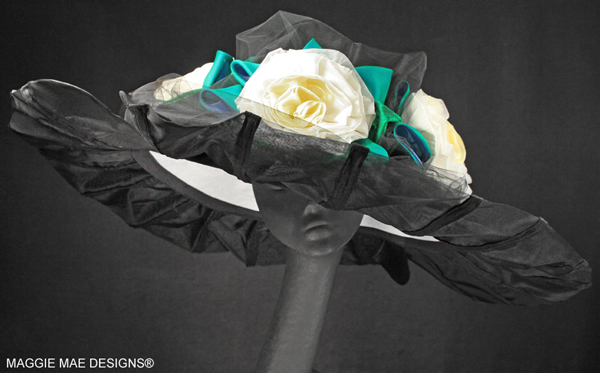 The finished “War Emblem” hat design measures over 30 inches across inclusive of the pleated organza brim layer. 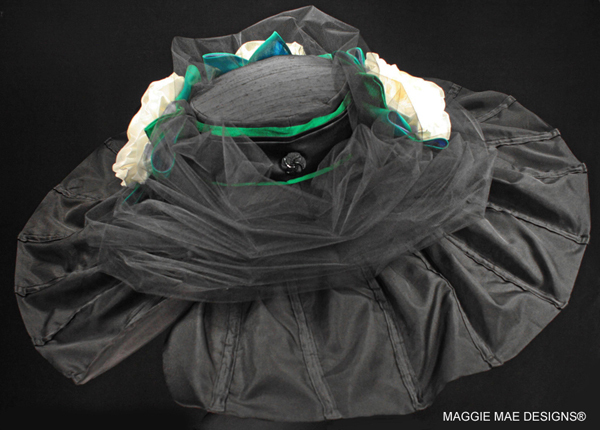 As a physical remembrance of War Emblem, several strands of his tail hair were braided and woven into the trim of the hat, creating a unique, one-of-a-kind Derby chapeau that captures War Emblem not only in spirit but in substance as well. 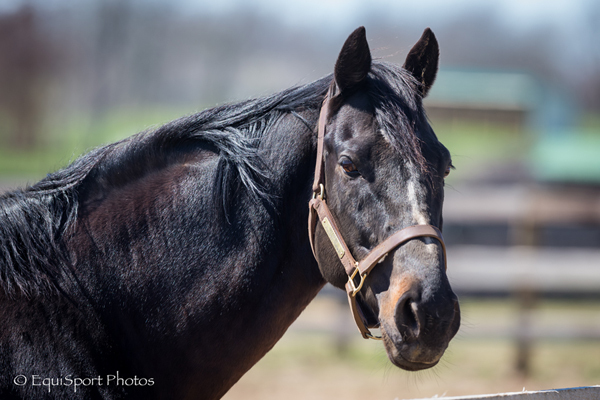 The purpose of this amazing millinery delight is to honor the life of War Emblem and all of the horses who, thanks to the generosity of those who support their aftercare, now graze in the warm sunshine of Dream Chase Farm for the rest of their lives. 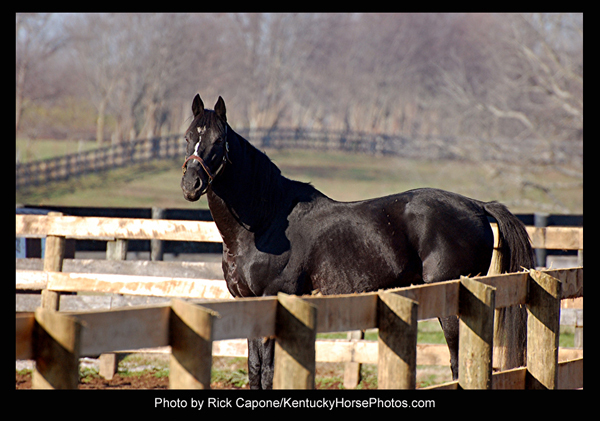 To read more about War Emblem, the horse, please click on the following link - Featured Horse. 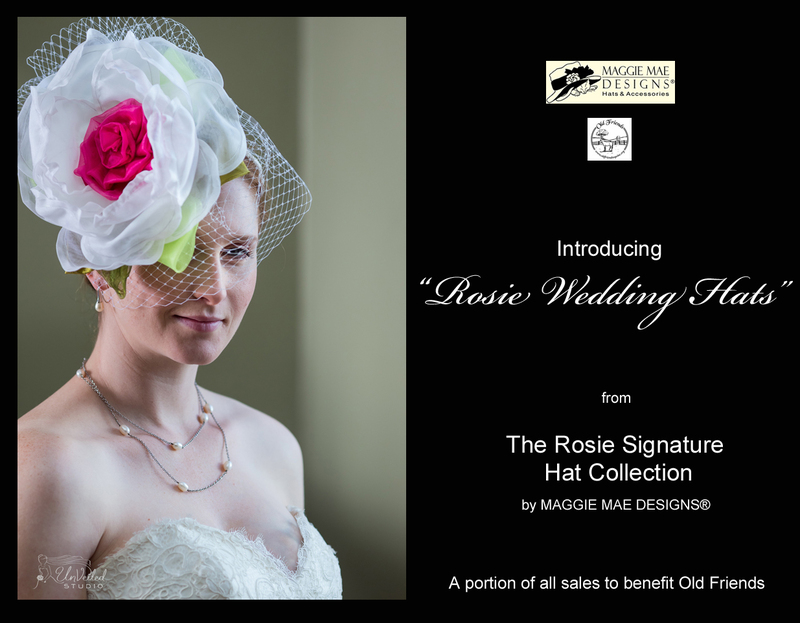 Please click on the above photo to visit the updated collection, “Rosie Wedding Hats”!